Designed for Embroidery, Quilting, and Decorative Stitching. Unlike many other high-tenacity trilobal polyesters, Fantastico is 'heat set' in processing which eliminates shrinkage. 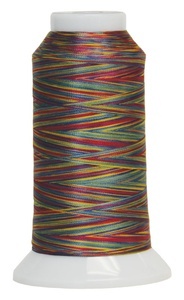 Made from the same high-strength fibers as Magnifico and Twist, Fantastico is a variegated high-strength trilobal polyester thread with a 1-inch precision dye pattern. Available in over 100 variegated color blends, we’ve hand-picked the shades to match a wide variety of fabrics. 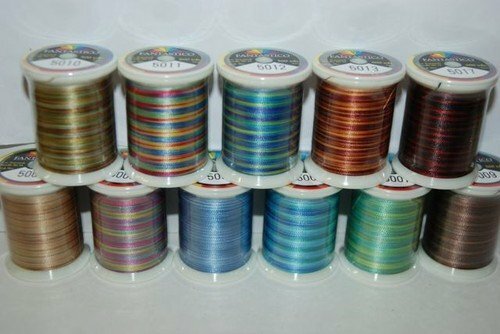 Excellent for topstitching applications when you want the thread to be bold and stand out.